Get updates from BRIDGE Academy about new opportunities, internships or talented students. Maximize your potential and gain experience. Globally. BRIDGE Academy connects tech students with companies who offer them attractive work experience and expertise. Use our service and feel the network potential. Do you want to find new employees, job or knowledge? Or just want to help us? Sign up today! Gain BA credits through work experience and interact with experienced technical and business people. Young, talented and creative students available to bring new ideas and IT solutions to your company. BRIDGE Academy is an international networking and educational platform focusing on young talented tech students and enterprises across Europe that are interested in taking students under their wings and providing them an opportunity to widen their knowledge gained in school through practice, workshops, and events. Our Events offer job opportunities and also workshops and training courses organized together with our business partners to help students become more successful in their field. 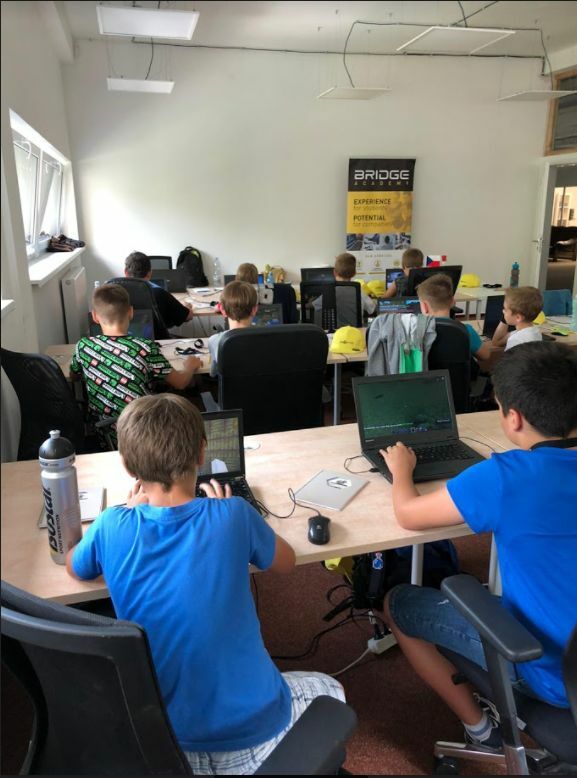 Další hackathon v Praze! Tentokrát CEEHACKS Smart Health Hackathon Praha 2018, který se koná od 26. do 28. Navštivte největší festival technologií budoucnosti! Festival Future Port Prague 2018 se koná 6. – 7. © 2019 BRIDGE Academy. All Rights Reserved.